"Lulu, the bird" is a wall hook that is perfect to hang little girls' dresses or hair accessories. 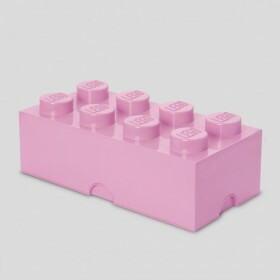 Also available in pink. Size: 9,5 x 9 x 5cm. 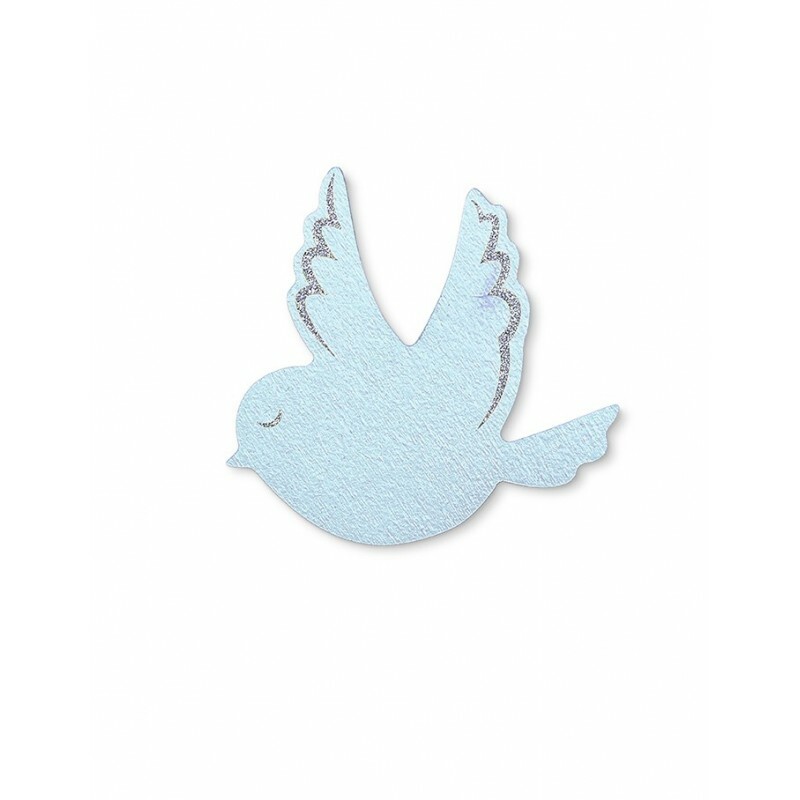 Decorate the nursery with this classic wooden mobile or hang it for the little baby to look at and enjoy at changing time. 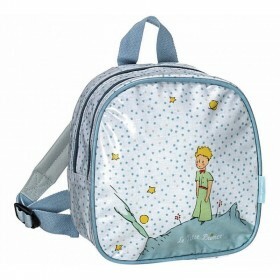 The balloons, elephants and stars will dance around and stimulate your baby's senses. Please note before purchasing that we do not include a mobile arm for attaching to a cot or similar (it must be acquired separately). 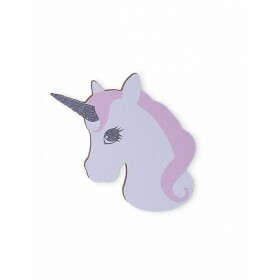 Hand painted unicorn hanger with silver glitter. Special Edition. Mirror, mirror on the wall, who is the loveliest kid of them all? This fun bear mirror is made of silver acrylic (perspex), is 20 times stronger than a glass mirror and it hangs on a hook that is included with the product. 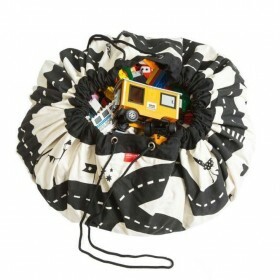 This item is completely kid-proof and suitable for the bedroom or play room. 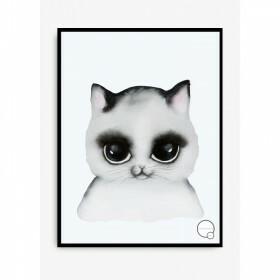 Add a little personality to any wall in the baby room with this little lovely poster. 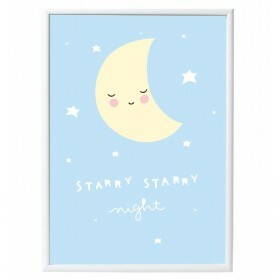 Wonderful poster with a sleeping moon on a beautiful blue background with the text ‘Starry starry night'. 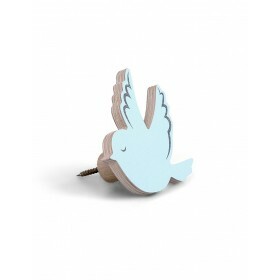 So cute for any kids room or playroom. Lovely set of mint green sleepy eyes, made of MDF. Equipped with double-sided tape for easy sticking on the wall. "Lulu, the bird" is a wall hook that is perfect to hang little girls' dresses or hair accessories. 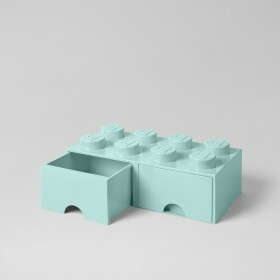 Also available in blue. 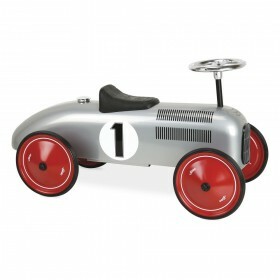 Whether roaring down the hallway or scooting across the patio, this retro-inspired ride on classic car will inspire and delight your little ones. We love the special finishing touches, like the retro front grill and silver petrol cap. 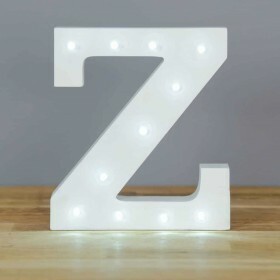 It’s classic design also makes it a good display item in their bedrooms when not in use. 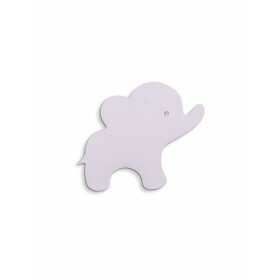 This sweet baby elephant wall hook is perfect to hang clothes or accessories. Available in blue, grey, white and pink.